All bikers are united in one community whether we ride dirt bikes, sport bikes, cruisers, dual sports, or scooters. It's great to be part of the high mpg gas club and enjoy the versatility of our machines. We're all addicted to the thrill of riding and always on the lookout for the best roads or off-road spots. Besides a bike, the other thing that every rider needs is motorcycle gear. We need the latest protection in the hottest styles at the lowest prices. ChapMoto.com has the right equipment for everybody with the brands that you want. When shopping for premium motorcross gear, search no further than Fox Racing. Founded in 1974 by Geoff Fox, the company began as a relatively small motocross gear distributor. Its high-performance parts and components increased its prominence in the competition world. Team Moto-X Fox was specifically founded to demonstrate the advantage Fox Racing equipment gave to racers. This brand specializes in off-road gear, making it excellent for dirt bikers and competitive athletes alike. Nothing demonstrates the company's uniqueness better than protective gear pieces, like the Titan Sport Protection Jacket. This protective gear jacket offers the look and feel of a postapocalyptic movie. The C.E. 1621-2 Level 1 certified back and C.E. 1621-1 Level 1 certified elbows protect two of the most vulnerable parts of the upper body. Its mesh main body delivers exceptional fit and ventilation, keeping you comfortable on the trails or the race course. Searching for quality motocross off-road gear? Fly Racing was created out of necessity for quality motocross products to be available at a reasonable price. Following its inception in the mid-90s, Fly quickly rose to being one of the top brands in off-road racing. Elite racers Weston Peick and Blake Baggett, along with many others, compete under Fly Racing's sponsorship. Fly gets a lot of attention for its equipment for female riders, such as its Kinetic Women's Over The Boot Pants. Available in eye-catching color schemes, these pants have adjustable zippers in the lower leg to let you slip them over boots protected by substantial armor. Stretch panels give riders mobility where they need it, ensuring a comfortable, fast ride. When the sun becomes too much, these pants include laser-cut perforations, zippered vents, and zipper cutoffs to convert them into shorts. 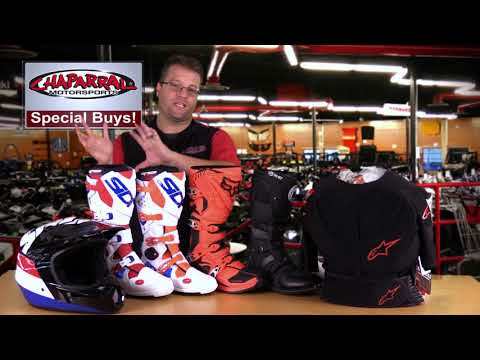 Superior fit and design are important aspects of finding motorcycle gear for your riding style. If you ask bikers what defines Joe Rocket, they'll almost certainly say its unique look. Its eye-catching designs rely on contrast, paneling, and fit than obnoxious colors or over-the-top designs. This isn't to say the company sacrifices performance; riders find Joe Rocket gear is game for whatever they throw at it. Combine all this with a modest price and you have one of the best values in motorcycle riding gear. The popular Joe Rocket Atomic 5.0 Jacket epitomizes the style and protection afforded by the brand's equipment. This starts with a waterproofed Rock Tex and Hitena shell to absorb impacts and protect the rider from road rash. Removable CE-approved armor shields the shoulders and elbows while optional spine armor protects your back. It's hard for variety to be a company's defining feature, but it's actually true of Icon motorcycle gear. Its high-performance equipment not only caters to every riding subculture, it features styles for every personality. If you're an understated person who like clean lines and subdued colors, it has that. Safety colors for high visibility are available as well. If you're a character and want people to see you coming, Icon has head-turning patterns and graphics. Nobody who has seen a matte helmet will have any problems visualizing Icon's stealth gear. The Airmada Opacity Full Face Helmet with it's violent purple, red, and blue peacock feathers on the other hand, need to be seen to be believed. More than just great looks, the Airmada also features a tough polycarbonate shell and an energy-absorbing dual-density EPS liner. 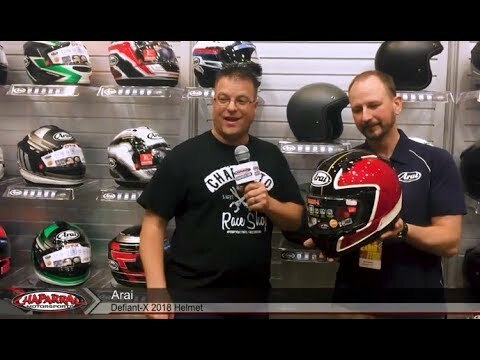 There are a lot of options to consider when shopping for a motorcycle helmet on chapmoto.com such as polycarbonate or carbon fiber. One thing you don’t want to gloss over is motorcycle helmet safety. There are various helmet ratings such as DOT approved motorcycle helmets, ECE certified helmets, and Snell certification. Before purchasing a helmet make sure it meets the safety standards and laws in your state. Wearing a motorcycle helmet can help protect your brain in the event of a crash or impact. Aside from protecting your head in an accident, a motorcycle helmet can also deflect dirt and stones, protect you from road debris, provide ear protection, and guard your eyes. When choosing a motorcycle helmet you want to make sure the helmet is safe and doesn’t obstruct or reduce your field of vision. It is recommended to replace your motorcycle helmet after a crash or fall because the structural integrity of the helmet and/or the impact absorbing liner can be compromised and make the helmet unsafe. There are risks of riding a motorbike, and if worst comes to worst and you end up hitting a car your chances will be better with a good motorcycle helmet. 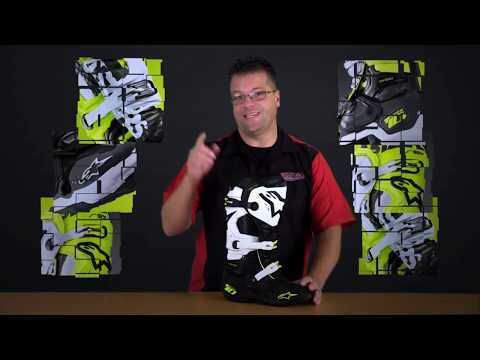 Want motorcycle gear with new technologically innovative features? Bell Helmets is the answer. Bell has been making head protection for longer than most motorcyclists have been alive. As its tagline famously says: "Established 1954, proven ever since." Bell produced the first full-face motorcycle helmets for both the street and off-road riding. Not content to rest on its laurels, Bell continues to be at the forefront of safety technology, pioneering features to combat rotational stress. The Qualifier Full Face Helmet is exactly what Bell Helmets is all about. It features an aggressive, aerodynamic design with DOT-approved protection. It's packed with features such as the padded collar to reduce wind noise, internal speaker pockets, and adjustable ventilation system. In addition, it also looks great and is available for an entry-level price. ChapMoto.com is committed to helping you find the equipment you need at a cost that keeps you a biker for life. Being a biker is an expensive passion, so we help keep your prices low when you need to get new motorcycle riding gear. Chaparral Motorsports features a low-price guarantee that matches the cost for the same product on a different website. We hear to help start a revolution: race, ride, rebuild and repeat.